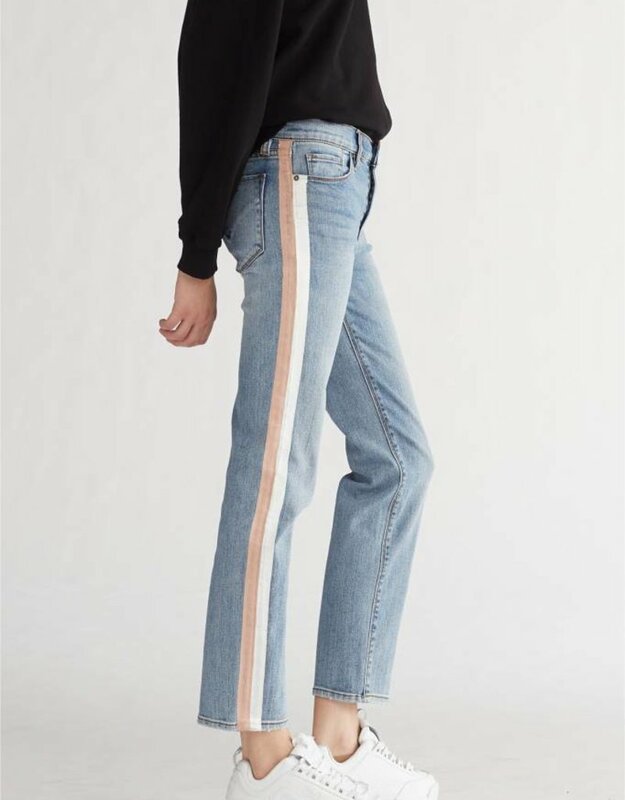 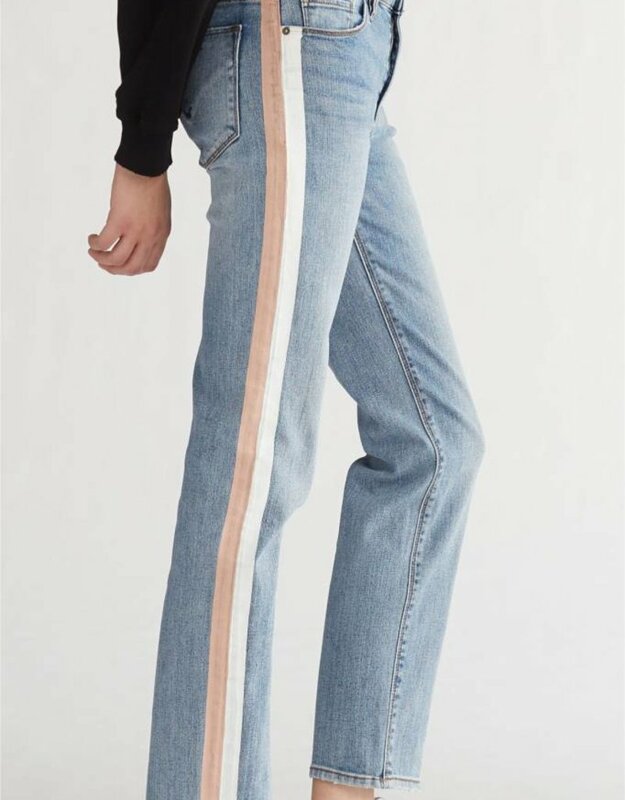 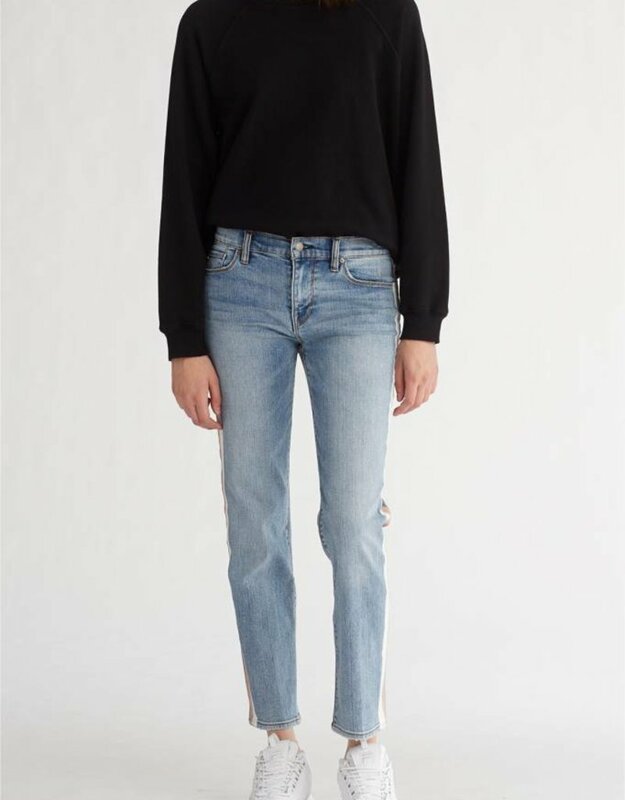 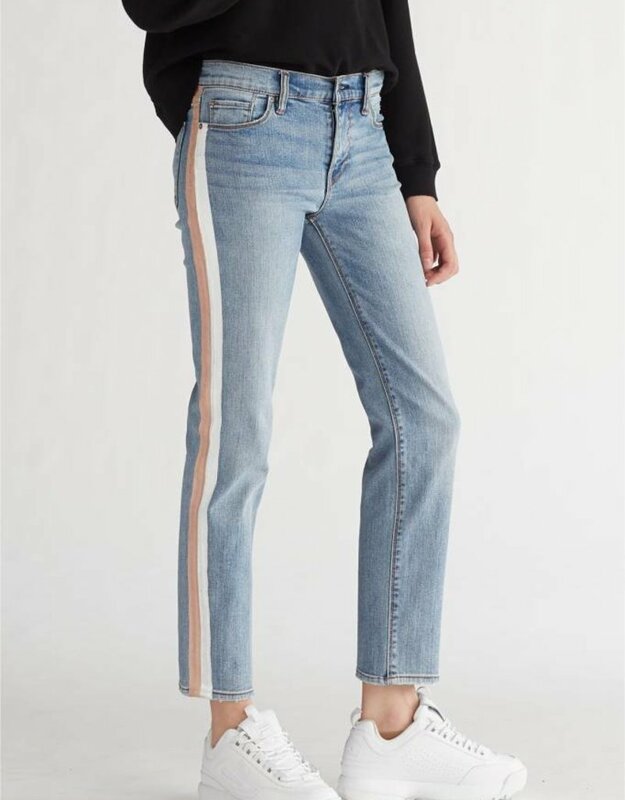 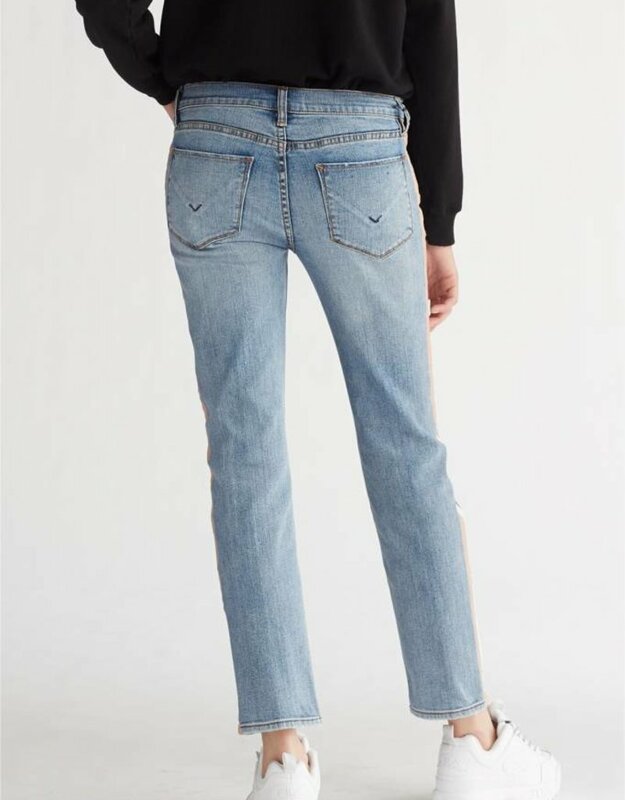 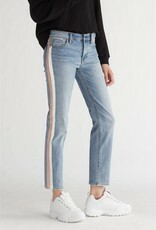 The Nico Midrise Cigarette Jean is our midrise slim-straight leg in our vintage light indigo Brushed Belize wash. Crafted from power stretch Japancese ISKO™ denim these jeans are finished with a pink and white double track stripe down each side seam. 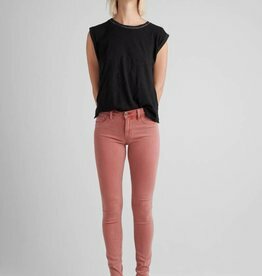 The Holly High Rise 5 Pocket Flare is a trouser flare featuring a comfortable high rise and a fitted flare leg block that breaks at the knee. 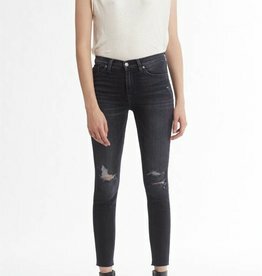 These high rise jeans are constructed of premium stretch denim and finished with our indigo Rogue wash. 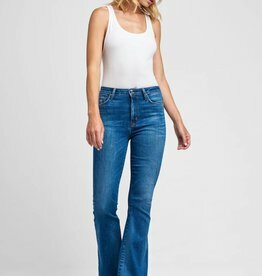 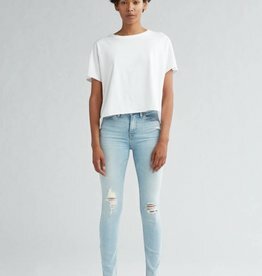 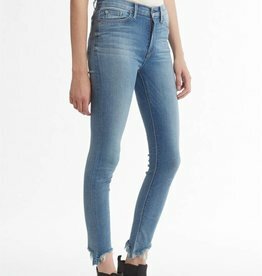 This jean features a midrise fit, raw destruction at the knees and a super slim silhouette designed for a sleek fit.